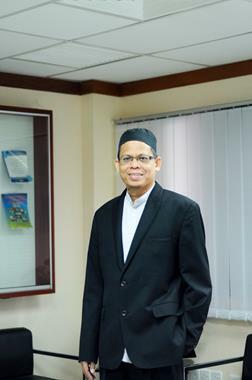 Md Daud Ismail, is a Associate Professor of International Business and Entrepreneurship at School of Management, Faculty of Economic and Management, Universiti Kebangsaan Malaysia. He earned his Ph.D. (2011) in International Business, from Monash University, Australia; his MBA (2001) from Universiti Kebangsaan Malaysia, Malaysia; and his Bachelor Degree (1996) in Business [Economics], from Oklahoma City University, USA. His research area are Entrepreneurship, Export Performance, Internationalization, Learning Organization, Small and Medium Enterprises. He has 17 articles published at national and international journals (from 2006-2017). He has written more 10 papers that were presented at seminars and conferences. He is the recipient of Malaysian Scientific Publication Council (MAPIM) Ministry of Higher Education Malaysia 2016 award for Best Journal Article (Social Science and Humanities Category).